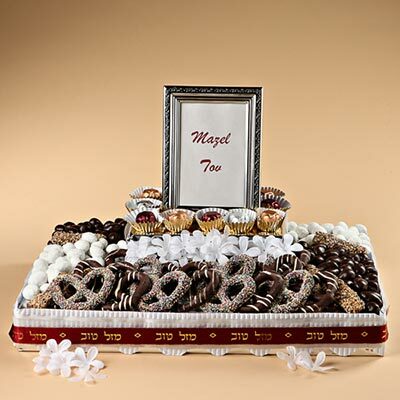 A two tier centerpiece filled with decadent chocolate covered pretzels,dark chocolates, Viennese Crunch, white dusted almonds and more. 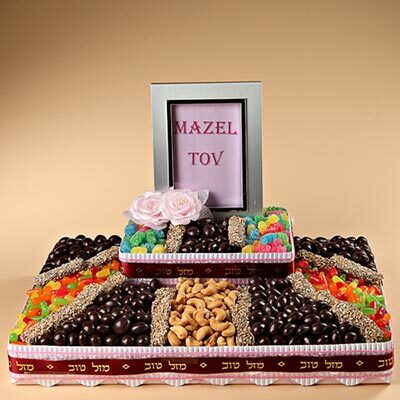 Makes a lasting impression...topped with a lovely picture frame. Local delivery only. Ultimate Basket - free shipping! 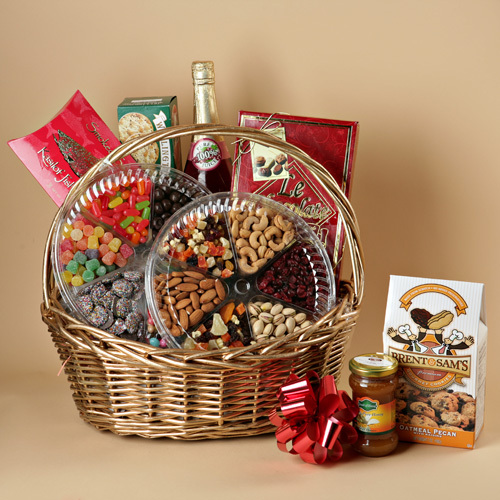 Our ultimate gift basket filled with pistachios,raw almonds,dried fruits,jelly beans,gum drops,gourmet chocolates,smoked salmon and crackers and more. 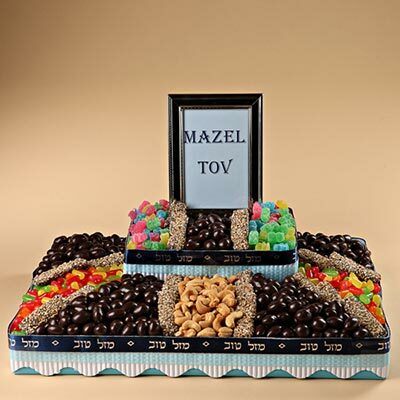 Makes a wonderful gift all year round.